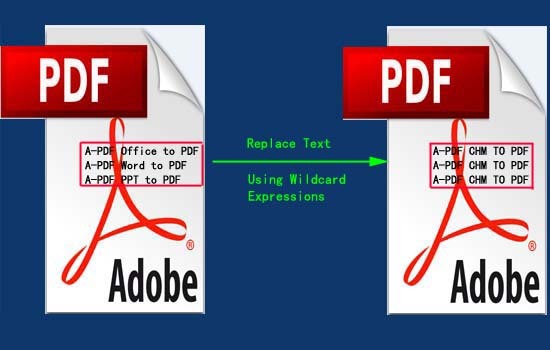 How to replace wildcard text in the PDF file? How can I replace a series of text contents that share similar or the same characters? For example: Replace "A-PDF Office to PDF", "A-PDF Word to PDF" and "A-PDF PPT to PDF" with "A-PDF CHM to PDF". 3. Click "Replace" or "Replace And Save as" to replace text content.